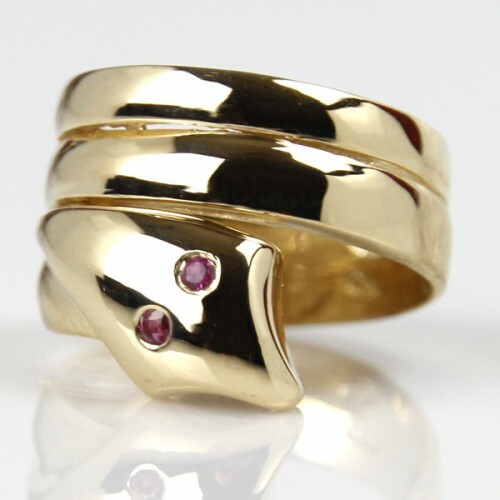 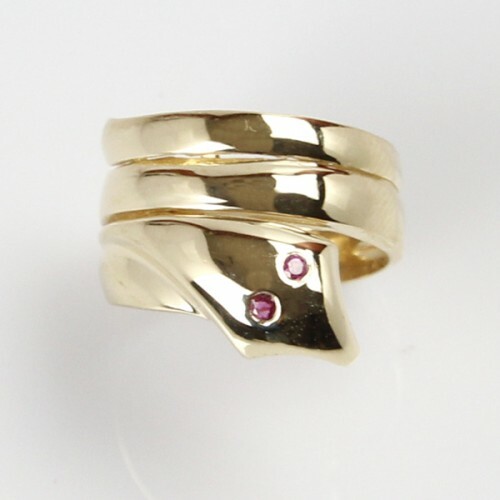 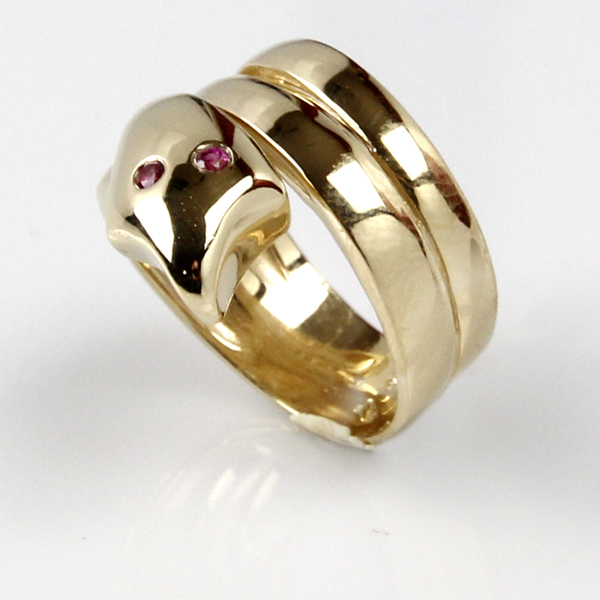 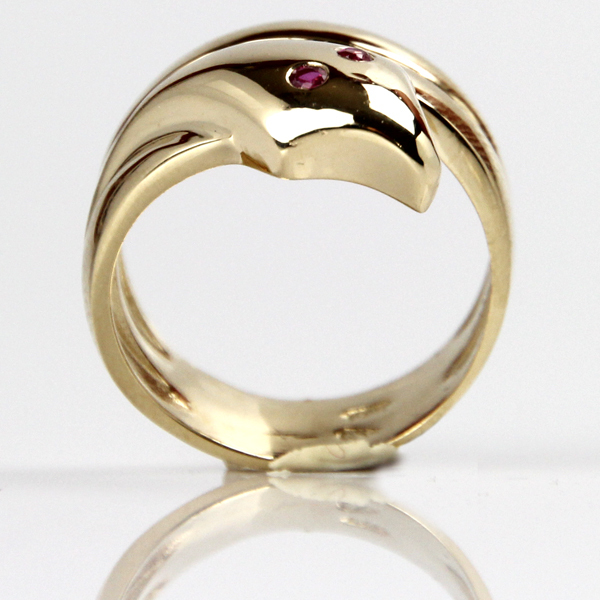 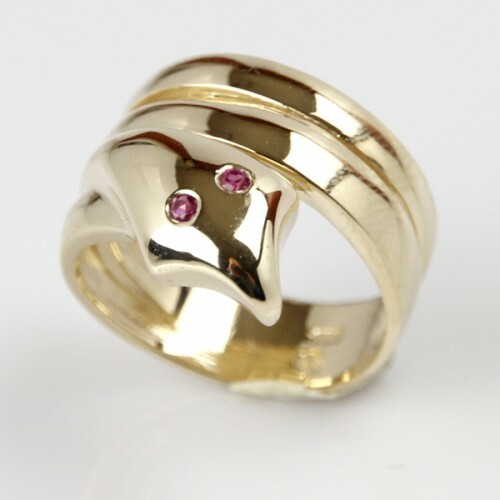 The shank is designed as the body of a serpent while its head is set with two Rubies (total weight of 0.1ct) that give the ring an Egyptian look and inspiration. Length – 0.71in / 1.8cm. 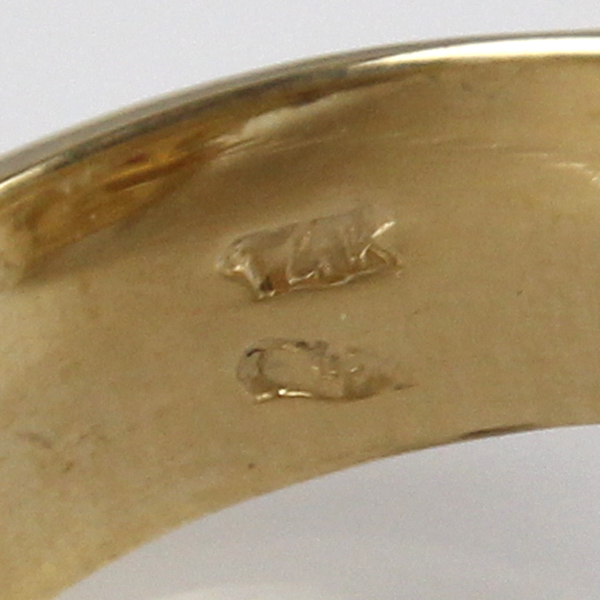 Thickness – 0.2in / 0.5cm.